As small, wooden crosses were erected in a grass park outside Camden City Hall with alarming regularity last year, a similar memorial to the city’s homicide victims sprang up in wealthy Moorestown. The township’s memorial was 10 miles and a world apart from the streets where Camden’s record number of homicide victims were cut down in 2012. But Money magazine’s best place to live in 2005 is no stranger to the struggles of those living in one of the worst. For decades, Moorestown’s churches, schools, civic organizations, business leaders and families have without much fanfare supported efforts to better the city, through both donations and countless volunteer hours. “The common denominator is this belief in children,” said Jodina Hicks, executive director of UrbanPromise, where the single-largest base of contributors for the Camden nonprofit has long been centered in Moorestown. Moorestown’s support of UrbanPromise, the faith-based ministry that offers sundry services to Camden youth, began with a few individuals more than 20 years ago. It has swelled to entrenched support from a half-dozen Moorestown churches, businesses and civic groups. Churches and private donors help pay the tuition for youngsters at UrbanPromise’s two schools. Moorestown youth complete UrbanPromise work projects in Camden and volunteer with summer programs. The township’s high school students currently help tutor in the city. The 100-member Rotary Club of Moorestown donates new coats to Camden kids and once bought new uniforms for a middle school basketball team in the city. The connection between the two towns made national news in 2007, when ABC’s “20/20” compared comfortable Moorestown kids with poor youth who live minutes away in Camden. Anchor Diane Sawyer highlighted UrbanPromise, and the gap between two polar opposite towns narrowed. But for Carol McWilliams and other Moorestown residents, the connection to Camden goes farther back than the Sawyer segment. 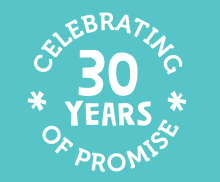 Two decades ago, UrbanPromise was a fledgling ministry trying to establish after-school programs for children. Hicks describes McWilliams, of Moorestown’s First Presbyterian Church, as an early “champion” who came into the city every day to help establish those programs. McWilliams, the church’s missions coordinator, said her work in Camden stems from a strong faith commitment and knowledge of the need that exists. Perhaps nowhere has the tie between the two towns been more entrenched in recent years than around the kitchen table of a Moorestown accountant and his wife. It was there at 6 p.m. dinners that Doug and Candace Sell and their adult children decided to make a 16-year-old Camden teen part of their lives. Late in 2010, Louis Santana was heading back to prison when the couple stepped in. Doug Sell had met the teen the summer before at an UrbanPromise program and he made a bold pitch to the juvenile court judge hearing Santana’s case: Instead of sending the teen to a juvenile prison for three years, put him in the Sells’ custody. The judge consented and Santana has lived for the past two years with the Moorestown family. “They didn’t just take him in,” Hicks said of the Sells. “He is their fifth child and that’s never been questioned. Doug is understated about the commitment, joking that Santana is “doing hard time with the Sells.” But for a teen who grew up providing for himself on the streets, a structured suburban family represented a world of change. With his mother imprisoned at age 11, Santana’s early life was spent hanging around corners where at least a dozen of his friends have been killed over the years. But the support of the Sells, which included intensive tutoring and Doug’s continual positive feedback, has changed that outlook to one of hope, Santana said. “That showed me that there are a lot of people who care. There is someone out there who does have a heart,” he added. Santana completed his high school courses and will graduate from UrbanPromise this spring. In March, he plans to travel to the ministry’s Honduras site for an internship. When he’s not putting in hours at a tire shop in East Camden, he works with UrbanPromise programs in the city. “I think he has done very well,” Doug said of Santana. 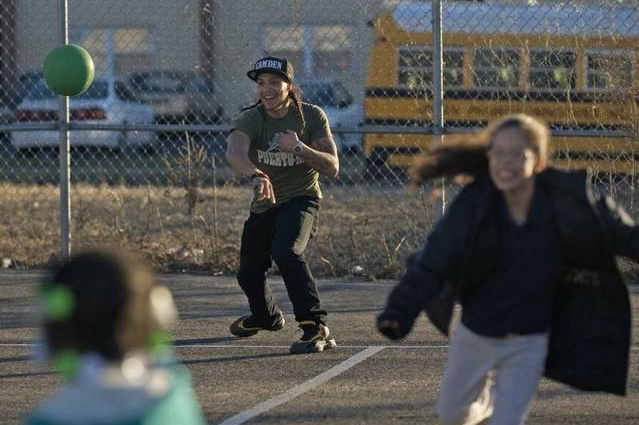 At an UrbanPromise after-school program in North Camden Thursday evening, Santana playfully chased a youngster down a playground slide. A hat emblazoned with block letters “CAMDEN” was perched atop his head as he and the program leader led the kids in a game of dodge ball. Santana’s work in Camden has meant less time spent with the Sells. His court-mandated arrangement with the family will end when he turns 19 in July. But Santana expects his connection to the Sells will never go away. “They definitely are a second family,” he said. Yall helped me to realize a lot. UrbanPromise Academy’s Robotics Team earned top honors at the First Robotics Competition at the NJ Liberty Science Center on January 5th, 2013. First Tech Challenge Robotics teams throughout the state of New Jersey compete and are recognized for their achievements in robot design, creativity, innovation, team performance, outreach and enthusiasm. Giving awards for outstanding achievement builds self-esteem in students and is a great way to encourage them to continue pursuing science, technology, engineering and mathematics. Team UPA outperformed all competitors to receive the “Motivate” award as they exemplified outstanding spirit and enthusiasm. They demonstrated spirit through the Domo Inferno mascot and team enthusiasm. 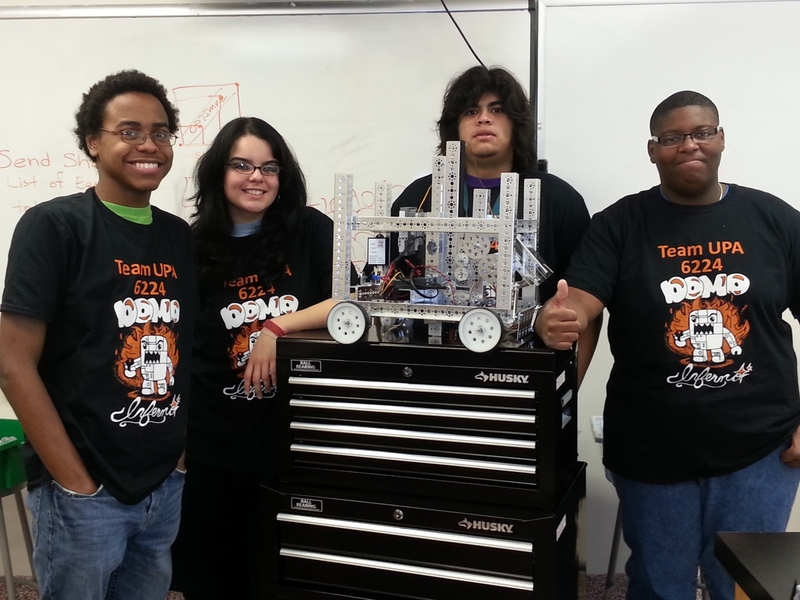 In addition, they made a collective effort to make First Robotics known throughout their school and community. However, the judges were not done with recognizing the performance of the team as they determined that Team UPA was worthy of second place for the “Think” award. This award judges the team’s journey as recorded in the Engineering Notebook. The notebook must demonstrate a clear understanding of the engineering design process through pictures and CAD drawings that detail the stages of the robot’s design. The notebook must be well organized and illustrate collaboration and co-ownership by the team members. Team UPA currently ranks 20th in the state of NJ. UPA was represented by Alexandra Gonzalez-Notebook Captain, Domo mascot (12), Joseph Palma- Team Captain (12), Rajuan Hailey-Assembly Engineer (10), Joshua Joseph- Programming Captain (10), Danielle Bemberry- Team Organization (9), and Dr. Cortney Bolden- Coach (UPA Comprehensive Science Teacher, Safe Passage CTC), Saki Wilcox (Safe Passage CTC), and Samuel Marlowe (Logistics Support).Special thanks to our partners, Safe Passage CTC and sponsors, Lockheed Martin and Dan Higgins Flooring. CamdenForward School’s book club—affectionately titled “Auntie’s Book Club”—has started off with a bang! 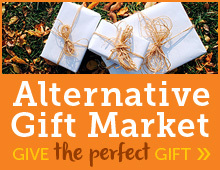 This year’s club, led by our executive director, “Auntie” Jodina Hicks, began on November 30. Running strong for over a year now, the club has progressed from seven students to the entire school (over 100 students). 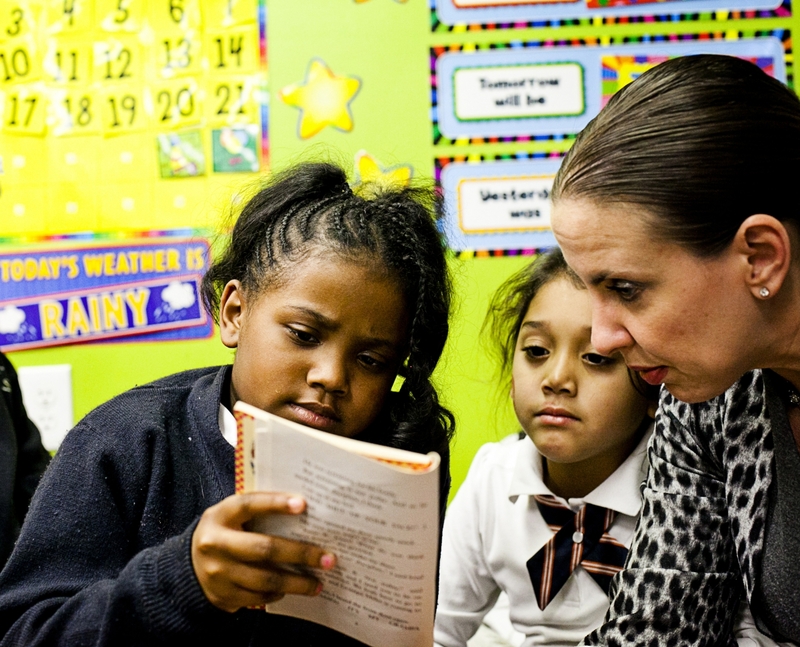 Because book club is so large, students are assigned to a small group—or “team”—led by an UrbanPromise staff member or volunteer. Each participant is encouraged to read at least one book a week and introduce it to the team. Team members then decide which student will discuss his or her book with Jodina on stage after their small group discussions. Book favorites include the Captain Underpants series by Dav Pilkey, Robin’s Country by Monica Furlong, and The Purpose Driven Life by Rick Warren. The most recent club, held on December 14, saw some exciting new features, including the “Young Author’s Group,” comprised of students interested in writing their own stories and sharing them with the school. Perhaps the most interesting addition to Auntie’s Book Club is the participation of Amos and Jackson, two golden retrievers who belong to UrbanPromise’s creative director, Shannon Oberg. The two have joined a small group of struggling readers who are reading aloud to the dogs in order to gain confidence and improve their reading ability.